Inspired and enlivened by a one-year trip around the world, Jeff and Juli Labhart returned with a desire to capture the flavors from the street stalls of Thailand, the spice fields of Zanzibar, the mountains of India, and other exotic locales into the creamy fresh goodness of gelato. 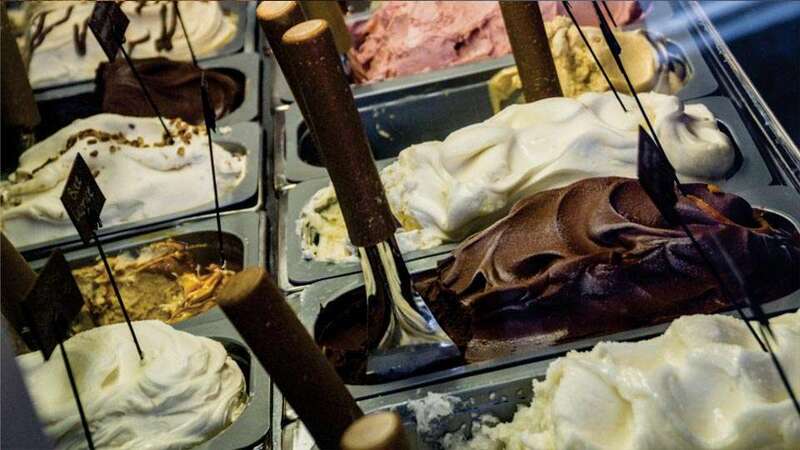 Upon returning, they trained under two different Italian gelato masters and, from this combination of inspiration and training, Bontà was born. Every small batch of Bontà gelato is hand-crafted (every day!) using traditional, “slow food” techniques and only the best ingredients, many coming from the Oregon countryside. This continues the Labhart’s desire to support local growers, the community, and the environment. Their chocolate and sugar are 100% certified organic and fair trade and their ice cream is all natural with no artificial additives. If they can’t pronounce it, it doesn’t go into the ice cream. Bonta features 18 signature and rotating flavors every day at their popular downtown storefront. If you can’t make it, look in local grocery stores for their pints. They’re worth the effort! After all, they were voted #1 of the top 10 best places to get gelato in the state of Oregon by Best Things Oregon. Text “BONTA” to 51660 to get updates on flavors and specials.